If you are a gamer (which you must be if you are reading this), you sit for hours in front of your PC/Console playing games that you love. Although great for enjoyment, all this sitting takes a toll on the body if you do not have the right kind of posture and support while sitting. Enter gaming chairs! We have seen pictures and videos of all sorts og gaming cahirs like DxRacer, Vertablue etc. all over the internet. But it is not clear what all options are available for purchase in India. 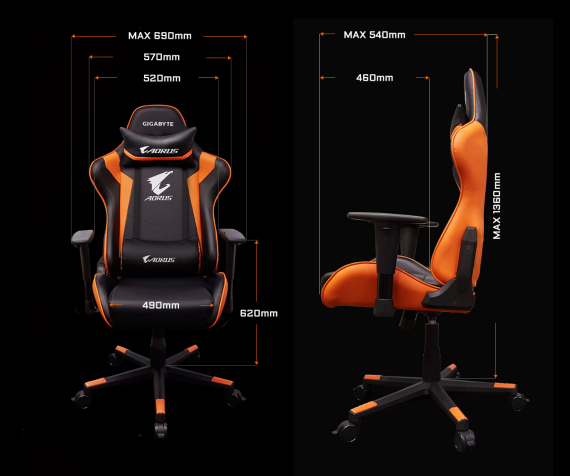 Below we list out the Gaming chairs that are available or will be available in India from different brands, allowing you to better make a decision about your purchase. All prices mentioned are those available as of 16th July on the brands’ respective pages. We are simply listing the chairs and are not ranking them in anyway. Ant E-sports has one of the widest collection of Gaming chairs in the list of brands that we will be going over today. They have chairs from different price ranges so you can choose one that easily fits your budget. They even have chairs made specially for console gamers. All the information we have is from the info graphic above. 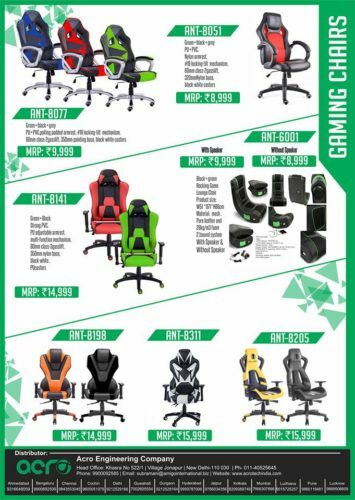 Green Soul is offering competitively priced gaming chairs in the Indian market on Amazon. Being a company that as per their website focuses on Comfort, Support, Durability and Design there gaming chair offerings look extremely promising and also are offered at great prices. They have 4 different models of chairs in lots of different colors. Click on the below links to purchase Green Soul Gaming chairs. Mika study chair is not technically an Gaming chair (did the name give it away? ), but because of its looks and features it has steadily become popular among Gamers in India. With its pricing also at par with the other gaming chairs, the Mika study chair is definitely a contender for consideration. The cushioned, adjustable armrests support you as you move. The torsion control knob allows you to adjust the tension of the springs in the chair to match your body weight. Tighten it for more resistance in the backrest. First on our list is Circle gaming. They have 3 Gaming Chairs on offer. These chairs have similar prices ranges as compared to Ant E-sports. 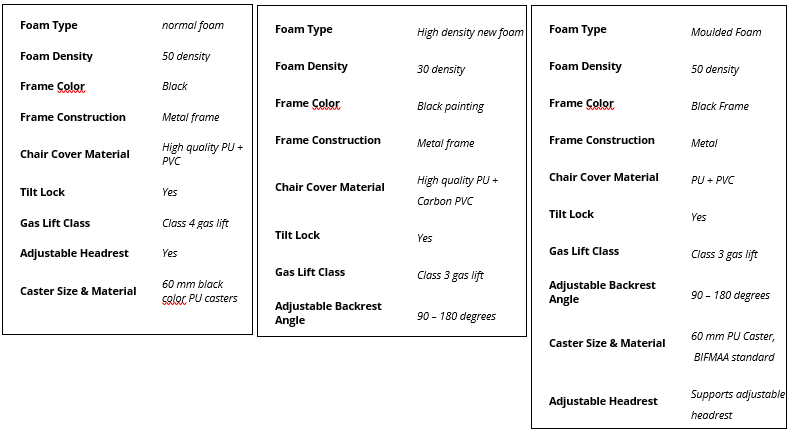 Circle Gaming has mentioned detailed features for all of the chairs which we have shown below. All the chairs also come with a 1 year warranty as mentioned on their website. ThermalTake a company from Taiwan which also owns the Esports brand TTesports is a well known name in the hardware department. This leaves no doubt that their gaming chair offerings are also quite awesome. Thermaltake chairs can be purchased here. Aarzee Gaming chairs are not yet available in India however you can pre-order them until they are available in end August. You can find more details about them on their website. Features for their Gaming X series can be found here. You can also check out their Facebook page here for more updates. Well for good measure we wanted to try and cover all the chairs that we could and well this is one of them also available in India. So to each his own, if this fits your budget you can check it out over on Amazon. Last and well probably least also we have the good old fashioned and reliable local plastic chair. Did you like our list? Do you have suggestions? Do let us know in the comments. We will keep updating this list as and when more information is available to us. The plastic chair was a funny addition. I like the Vertagear, looks cool and comfortable. I love to play gaming system. And if you will be playing the exact Virtual simple fact games subsequently it will be far more awesome. Typically the Virtual real truth games are generally too fine that any individual can along with love to participate in those game titles. The article and so nice, My spouse and i liked in which and great sharing this kind of. The gambling chairs are meant to get entire enjoyment of the very gaming. Provides you the a sense of real game. That It seems like you are genuinely exist right now there. Hey! 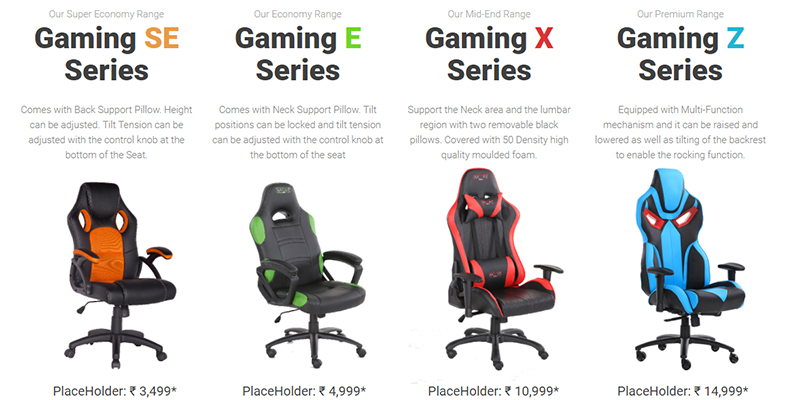 Just wanted to ask, could you please provide with a link for Ant E-Sports chairs, from where Indian customers can purchase them? As I was unable to find one.